Disused trains. 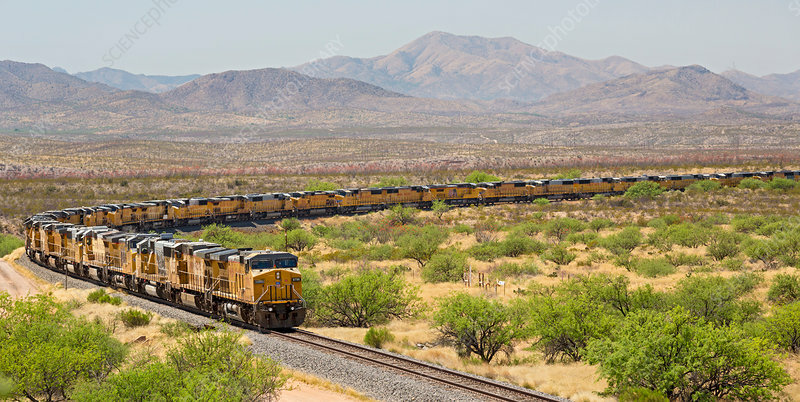 Surplus Union Pacific freight locomotives parked in the desert. Photographed in Benson, Arizona, USA.